This entry was posted in Biological, Psychological and tagged APAC 2017, ASDirect, asia-pacific, autism, barbaro, Dissanayake, La Trobe University, olga tennison autism research centre, Prizant, SACS-R, sherlock holmes, Sydney by cedwardpitt. Bookmark the permalink. My name is Erin and I am a Research Assistant at La Trobe University. Currently, I am working with Dr. Josephine Barbaro on the ASDetect project. 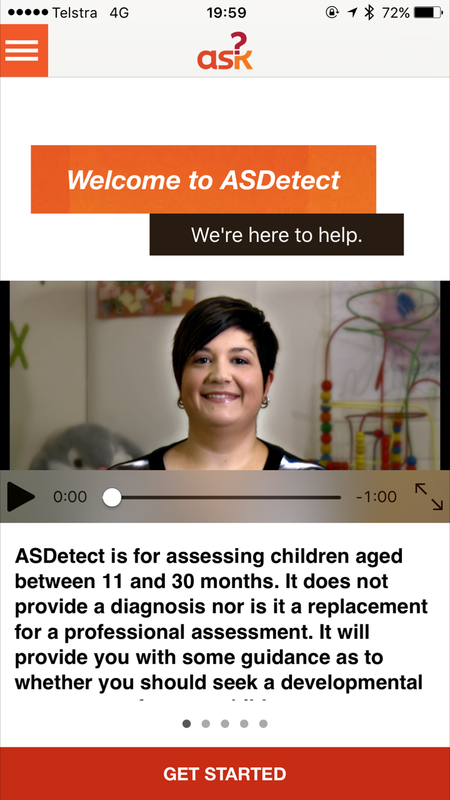 Firstly, thankyou for writing about ASDetect in your blog and helping to spread the word about the app!! We want to encourage all parents with young children to use this software application to detect if their child is showing any signs of Autism. We would also like you and your readers to know that we’re currently seeking parents/caregivers of young children aged 11-30 months for our research study looking at how ASDetect identifies early signs of Autism (Australia only). You can register at asdetect.org/app or SMS 0409 758 602. You must register via this website to be eligible for study, so just downloading the app won’t enrol you. If it were possible to amend your post and add this information that would be fantastic.